There is nothing quite as fun as designing and styling your home. Choosing decor, interior finishes, and accessories is a process that many people enjoy, and it is a great way to incorporate your own sense of personal style into the space you call home. Flooring is one component that comes in a variety of materials and designs and each is cared for and maintained differently. If you have recently installed wood flooring in Toronto, here are three simple tips for keeping it in pristine condition. Rugs are a fantastic solution to protecting your floors and reducing noticeable wear and tear in high traffic areas. For starters, place an extra-long rug in the entryway. This will allow people to wipe their feet and have a place to stand while removing and putting on their shoes to reduce the chance that your floor gets dirty or wet. Also, consider rugs in areas where traffic is high to minimize the exposure of the wood against constant movement. One of the most common mistakes people make when cleaning their floors, is using chemicals that are too harsh for the wood. This can result in stripping, scratching, and other damage that is not easily remedied. Your local experts on wood flooring in Toronto can give you suggestions for how to clean your floors, what solutions to use, and other basic maintenance to ensure you do not use any products that will damage the surface. Regularly cleaning your floors is an excellent way to maintain their original condition. Did you know that crumbs, grime, and dirt can slowly sand down the finish of your wood over time? To avoid gradual damage, vacuum your floors each week and then wipe the areas that may need a little extra TLC with a proper cleaning solution. 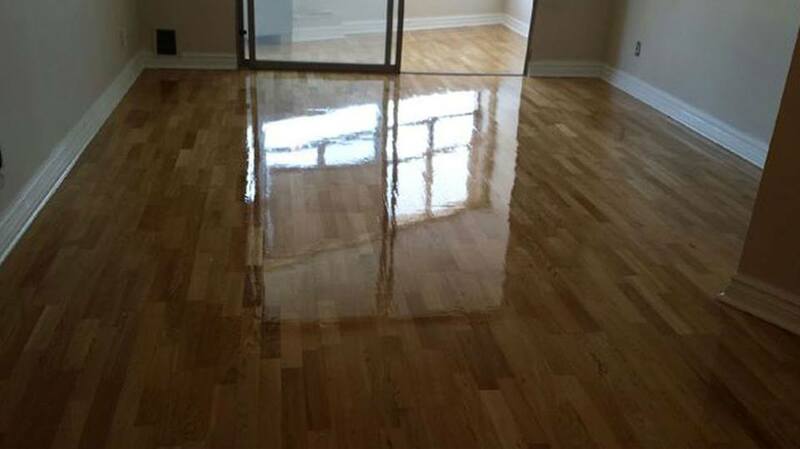 By taking active measures to maintain your beautiful wood flooring in Toronto, you can get many years of use out of it. Actions such as placing rugs, using proper cleaning solutions, and vacuuming it regularly can make a world of difference.